Put your car keys beside your bed at night. If you hear a noise outside your home or someone trying to get in your house, just press the panic button for your car. The alarm will be set off, and the horn will continue to sound until either you turn it off or the car battery dies. Next time you come home for the night and you start to put your keys away, think of this: It's a security alarm system that you probably already have and requires no installation. Test it. It will go off from most everywhere inside your house and will keep honking until your battery runs down or until you reset it with the button on the key fob chain. There's no doubt that eating fruit is important to our overall health and wellbeing. Fruit is healthy for you, we all know that, but, it's good to know that eating it should follow some general guidelines to fully benefit our health. It's just not as simple as putting it into our mouths whenever we feel like it. Learn about the proper ways to eat fruit and your whole body will thank you with less digestive problems and tons more energy. Flight you needs a Pilot and Cabin Crew. This Book is also written by a Pilot and a Cabin Crew to Answer most of your FAQs. We have included all section to help and explain the Cabin Crew Opportunities available to those Trainees who continue to work towards the professional Cabin Crew and there after how to get about with their "way forward" plans. We have also thought it prudent to include some of the many pitfalls or setbacks that await the unwary in what is otherwise a very honorable profession. 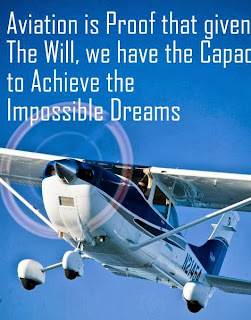 Every country has its own civil Aviation Department who Manages Aviation activities. Why should you become a Cabin Crew ? Eurocopters are happy to announce the launch of our internship campaign 2013/2014. Eurocopter will be posting regularly lots of interesting internship offers within Eurocopter. Take your first step here by visiting our website www.eurocopter.com/Internships and stay tuned to our Facebook page. More updates Eurocopter will be coming very soon. At Eurocopter the main business language is English. Therefore, it is vital that you can work competently in this language. Depending on the specific position you apply for, you may also be required to speak the local language.